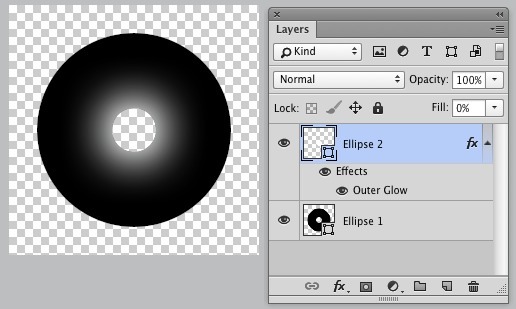 How can i turn this line into a circle in photoshop cs6 ? I don't believe there's anything automated to rotate a vertical tile around it's center. You'd have to manually copy and rotate. 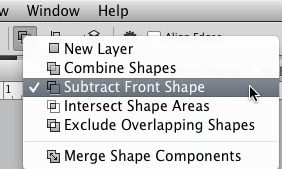 You could use the Transform Again function in the Edit menu, but it would still be fairly tedious. 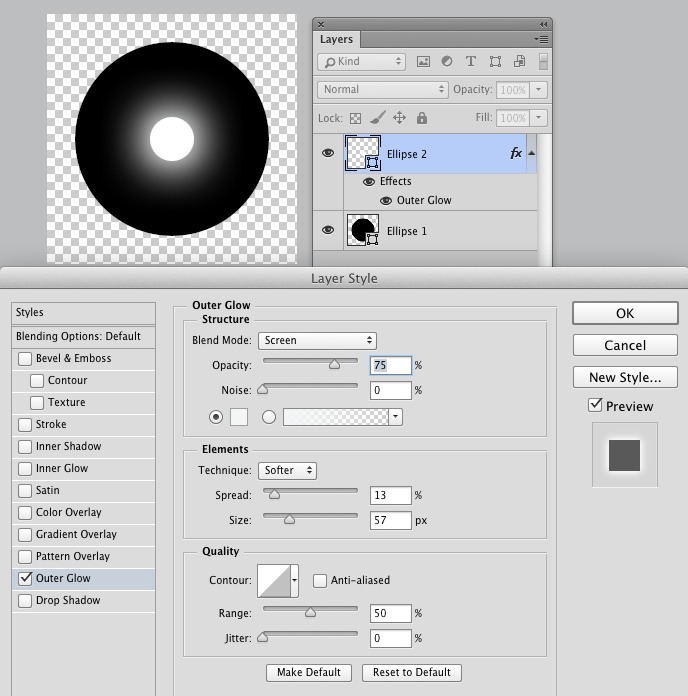 My suggestion is to draw 2 circles, then apply an Outer Glow Layer Style to the inner circle. If you need the inner circle to be a "hole" or counter, you'll need a third circle which matches the size of the inner circle. And you'll want to draw the first inner circle with the Subtract Front Shape path mode set so it removed the center of the larger circle. 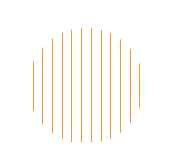 The third circle would have a Fill Opacity set to 0% so the fill isn't visible, but the outer glow is. marge the line shape and get the circle selection on it... and mask it. Not the answer you're looking for? 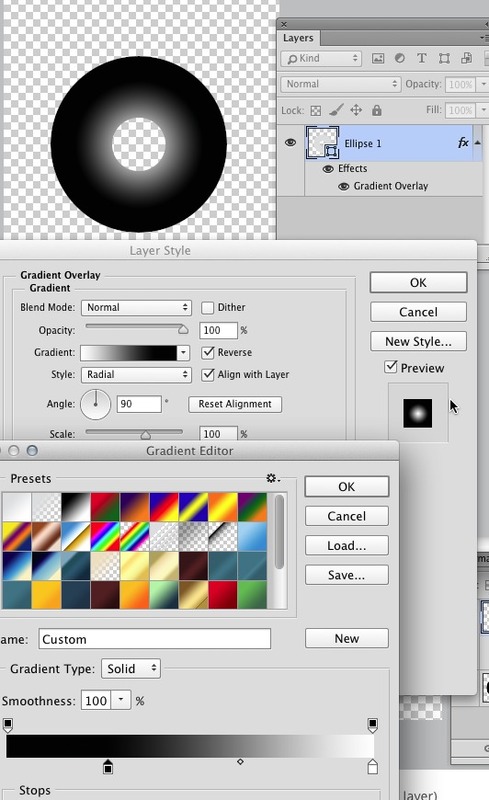 Browse other questions tagged adobe-photoshop cs6 shapes or ask your own question. 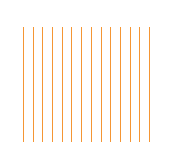 Which tools is used to draw this image?